Oktoberfest is the worlds largest annual festival officially beginning on Sept 17 - where beer drinking, tent parties, costumes and BBQ's are attended by millions of visitors worldwide. Over the past century the festival has grown by leaps and bounds to become celebrated Internationally. Ironically the first Oktoberfest wasn't even really a festival but the wedding celebration of The Crown Prince Ludwig of Bavaria and Princess Therese of Sachsen-Hildburghausen. The original celebration included costumes, music, food, and of course beer drinking. The festival has been held every anniversary for nearly 200 years. As immigrants from Germany began to move about smaller Oktoberfest celebrations began to grow. Typically at an Oktoberfest celebration one will find themselves consuming large quantities of beer, sausage, bratwurst and sometimes roasted oxen. 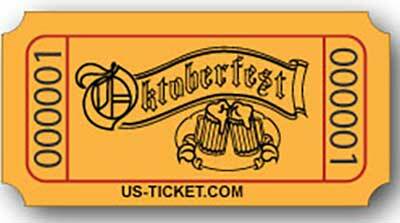 With fall months approaching its never to soon to plan for your Oktoberfest Celebration!